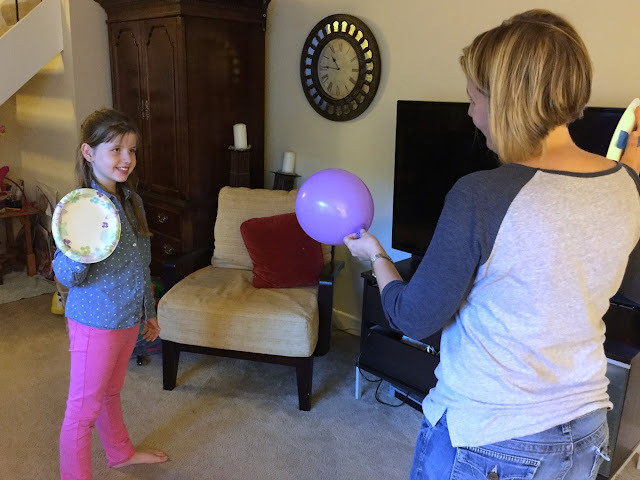 Lunchbox Dad: How to Make A Balloon Lunch For Your Kids + Fun Indoor Game Ideas! How to Make A Balloon Lunch For Your Kids + Fun Indoor Game Ideas! This is a sponsored post on behalf of Let's Play, but all opinions are my own. Kids always have fun with balloons. They are a simple concept, but think about it. How hard is it not to smile when there are balloons around? You are cracking a smile right now just imagining it, right? This is exactly why I wanted to create a simple balloon lunch for my kids and also show you how to make it. Not only that, but I also came up with some kid-tested (ok, adult-tested as well) balloon games for you to play with your family. The best part is that these games are designed to play inside so, so they're perfect for keeping you and your kids active together during cold weather. As some of you may remember, I'm a 2015 Play Ambassador for Let's Play, a Dr. Pepper Snapple initiative to encourage kids and families to make play a daily priority. So take a look at my easy to follow lunch instructions, then head on over to my blog post at Let's Play and see all the activities you can play inside with your kids this fall and winter. 1. Cut slice of bread into shape of balloon as shown. Use first piece to trace and cut out second slice of bread and slices of provolone and cheddar cheese. 2. Place one piece of meat on top of slice of bread and one slice of cheese on top of meat to make open faced sandwich. Repeat with second sandwich. Place both sandwiches in main container. 3. Pick out different brightly colored round fruit and vegetables. Try and choose at least three different varieties. The idea is that together they are reminiscent of a bunch of balloons. Place fruit and vegetables in side compartment. 4. In second side of the compartment place round crackers. These can be whatever type of crackers your kids like best, just make sure they are circular so they go with the balloon theme. 5. 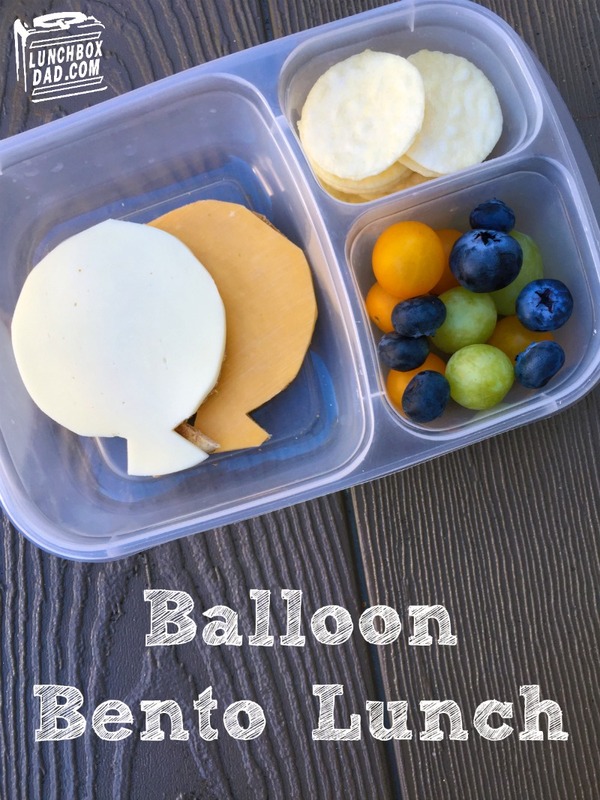 Serve the lunch to your kids during a break in the balloon games that I have listed over on Let's Play. They are guaranteed to help your family enjoy those long winter days in the house! All you will need are balloons and a few simple everyday items you have laying around.